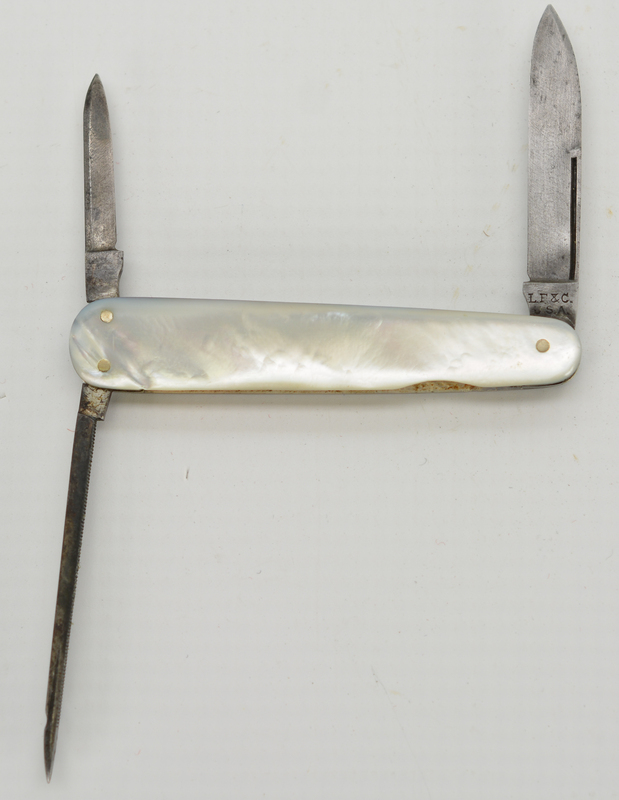 Description: This Landers Frary & Clark product features mother-of-pearl scales, brass pins, file worked brass bolsters and a manicure blade. This knife measures just under three inches closed. 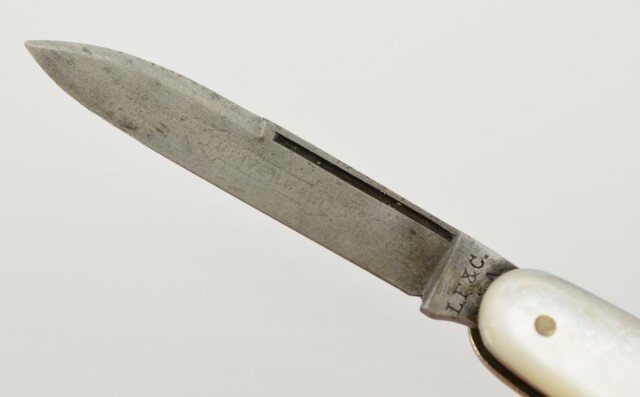 The spear pointed pocket blade is marked "LF&C" over "USA" on ricasso; opposite shows "73399". This blade has been cleaned leaving traces of an etched panel reading "Universal" on left side. Pen blade also has a spear point, both blades have been sharpened. The manicure blade has a small file and rounded tip. 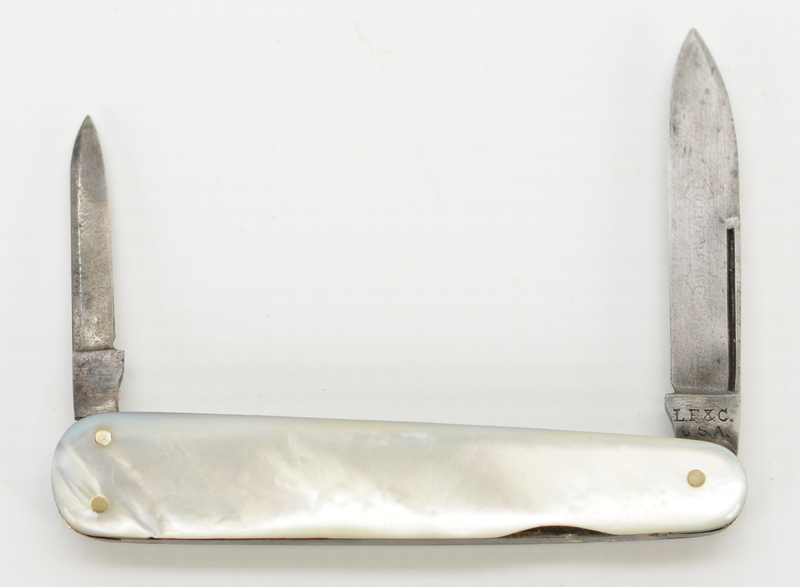 A neat old penknife by a noted American maker; there was more to this company than just trench knives!